It all began in 1901 on what is now our Minneapolis, MN location when August Cornelius, our founder started producing greenhouse and field vegetables. The original glass greenhouse covered 4,000 square feet, supporting tomato production. 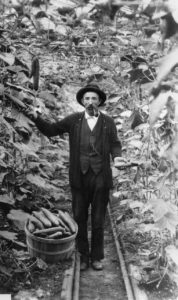 As the facilities expanded, the vegetable assortment also expanded to include cucumbers, lettuce, watercress, radishes, and tomatoes. The fresh produce was marketed locally. The entire family worked in the business. 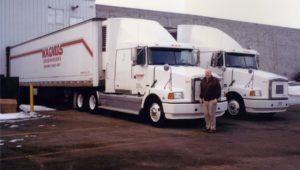 When a recent immigrant, J. Emil Wagner, joined the company, he developed a love for both the business and for August’s daughter, Johanna. Emil and Johanna were married and took the helm of the greenhouses in 1931. 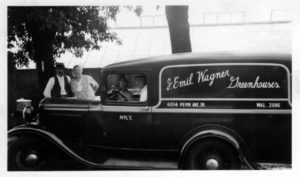 Emil and Johanna Wagner continued the tradition of supplying fresh produce to the rapidly growing Minneapolis area. The greenhouses and fields continued to expand and their son, Rich, became involved in the business. After returning home from military service in 1955, Rich met his future wife Nola. Rich and Nola were married in 1956, and Nola joined the family business. Emil had grown a few petunias, but it was Rich and Nola who introduced the business to flowers, starting with geraniums in 1957. Most of the vegetables and flowers were sold through the farmer’s markets. However, the “retail” business was also starting to emerge at this time, as neighbors approached Wagners for both fresh produce and beautiful flowers. Rich and Nola incorporated in 1967. By then, retail sales of bedding plants had expanded into a full-scale garden center. The garden center featured Wagner’s geraniums and bedding plants and was open only during the spring season. In addition to the garden center, flowers and vegetables were sold at the farmers’ markets and through wholesale channels. Rich and Nola’s sons, Ron and Scott, were also being introduced to the business during this time. As Ron Wagner completed his horticulture degree at the University of Minnesota he introduced the company to a relatively new production technique: growing plugs. Plugs were initially used for internal production, replacing the old open-seeded trays. As Ron perfected his growing methods, several brokers became interested in selling plugs. Wagner’s quickly became a leading plug supplier producing spring bedding plugs, summer pansy plugs, cyclamen liners, cool crops liner and specialty florist pot crops liners. 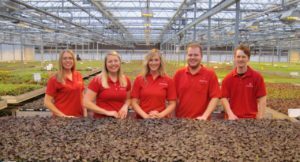 Over the years, Wagners has made several expansions including the purchase of a 250,000 square foot growing range in Hugo, MN which was converted and redesigned from rose production to growing annuals, perennials, poinsettias and more. A seasonal garden center opened at the Hugo location in 2002. Another seasonal garden center opened in Bloomington, MN in 2013. Wagners has continuously changed its infrastructure and evolved the product offerings to meet the needs of both wholesale and retail customers. 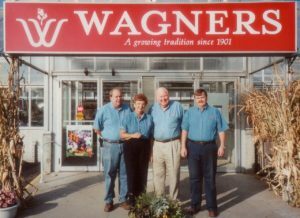 In 2012, Wagners added a line of finished annual plants for both landscapers and retailers. 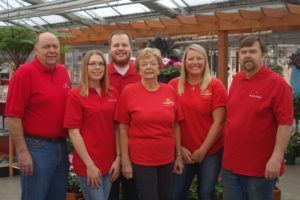 As Wagner Greenhouses and Garden Centers looks to the future, the fifth generation of family members including Laura, Julie, Nik, and Eric Wagner are actively involved with the family business. We are excited to continue our passion for plants and help our business flourish.